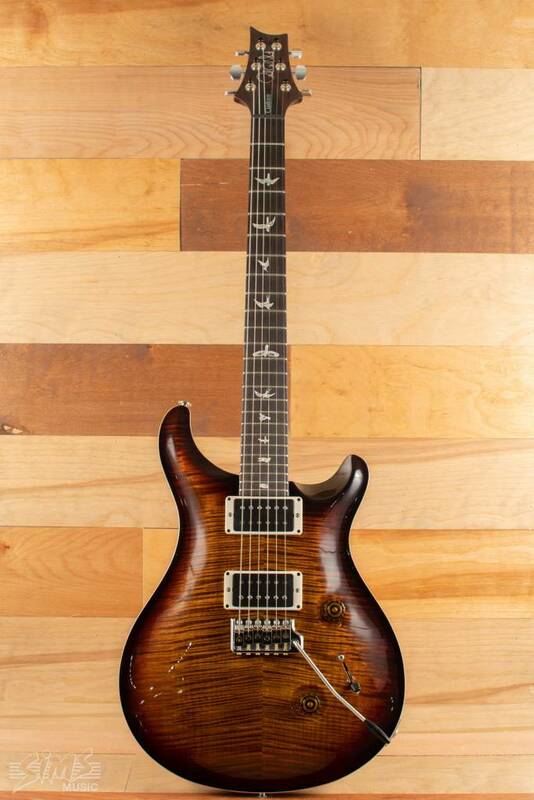 The PRS Custom 24 10-Top is a beautiful, playable solidbody electric guitar that sounds as good as it looks. 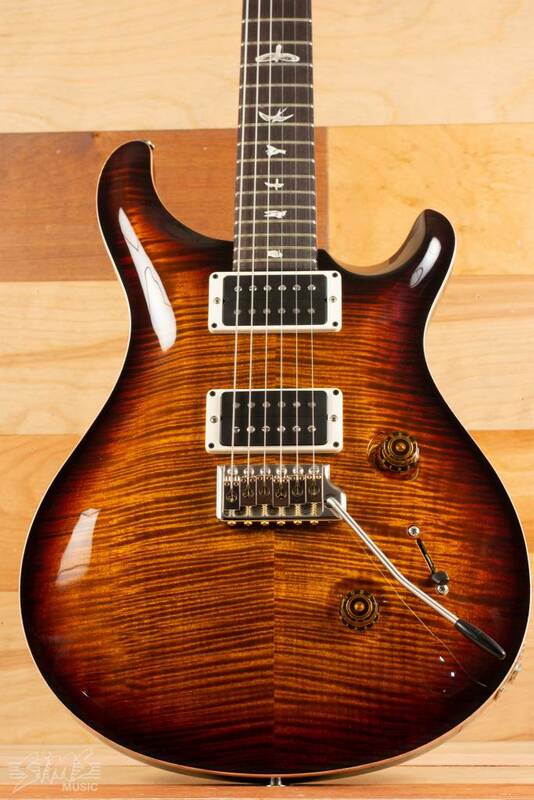 The PRS Custom 24 10-Top is a beautiful, playable solidbody electric guitar that sounds as good as it looks. Feast your eyes on the breathtaking carved figured maple 10-Top, paired with a comfortable lightweight mahogany body, all finished in PRS's superb V12 finish. 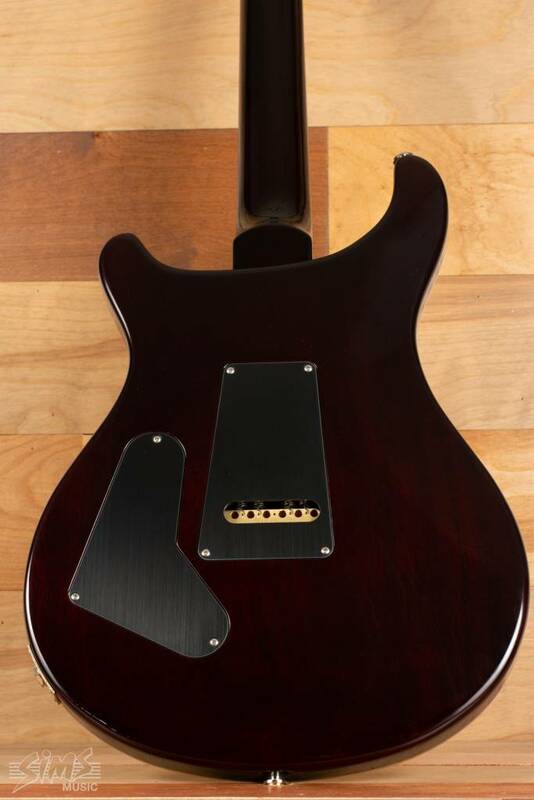 You'll delight to the touch of the 24-fret mahogany neck with its satisfying Pattern Regular profile and rosewood fingerboard with signature bird inlays. 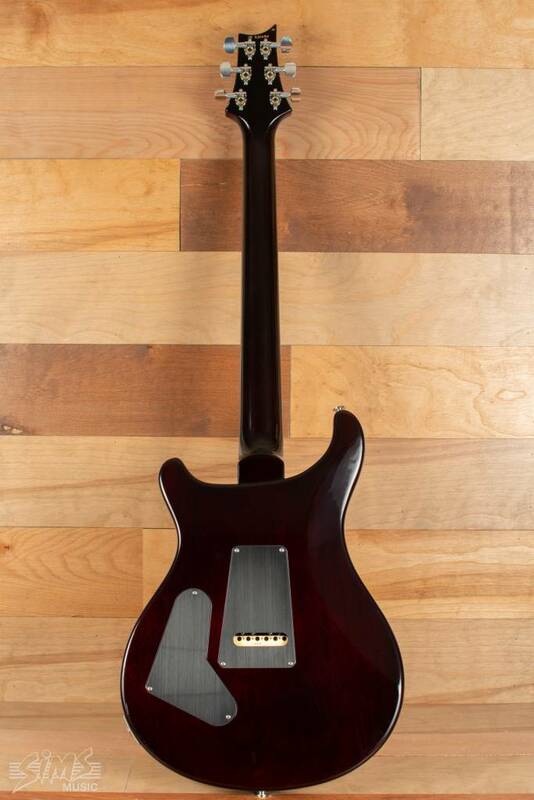 And the sound of this elegant PRS Custom 24 10-Top solid body? Premium 85/15 humbuckers and 5-way switching let you deploy a stunning arsenal of tone from the luscious PRS Custom 24 10-Top. The Black Gold Burst PRS Custom 24 is one of those guitars you just can't put down. PRS enjoys a well-deserved reputation for marrying sonic mojo with mouthwatering visuals and outstanding playability, and they've done their usual outstanding job with this year's Custom 24. Go ahead — pick it up and start playing. Just make sure you don't have anything to do for the next few days. With its gorgeous figured maple top, just-right mahogany neck, rosewood fingerboard with bird inlays, and tone monster 85/15 humbuckers, this PRS Custom 24 10-Top solid body looks stunning and responds to your every creative whim. Go from mellow chord voicings to liquid fire with a twist of your pinkie. Join the legions of Sweetwater guitarists who get their musical message across with a PRS Custom 24. The Black Gold Burst PRS is finished in a stunning PRS V12 finish. If you're seeking vintage vibe with a sophisticated edge, your search ends here. Over a decade in the making, PRS's V12 finish blends the thin, resonance-enhancing characteristics of a nitrocellulose lacquer finish with the non-cracking reliability you expect from a modern acrylic finish. It has a classic feel all its own and makes your axe feel like a well-worn instrument — one that will stay flawless-looking for years to come.